Dr. Boyles has been practicing at our Barnwell site since August 1, 1988. Dr. Boyles completed a Bachelor of Science in Biology at Presbyterian College and then an MD from the USC School of Medicine. He completed his residency at McLeod Regional Medical Center in Florence, SC. Dr. Boyles is a board certified Family Physician. Dr. Boyles was born and raised in Allendale, SC and married Angela Kennedy of Fairfax, SC. He has two children, Amanda and Rick. Bobbie Ayers, MD was born in Orangeburg, SC and graduated from Orangeburg High school. He went on to attend Clemson University where he obtained a Bachelors degree in Biology. He later attended the Medical University of South Carolina where he received his M.D. Dr. Ayers currently resides in Bluffton, SC. Ms. Reid has been practicing at Low Country Health Care System, Inc. since February 28, 2005. Ms. Reid completed a Bachelor of Arts Degree in Psychology at the University of South Carolina. She then went on to complete a Master of Science in Social Work with in depth study in mental health at the University of Louisville Kentucky. She has earned her Licensed Independent Social Worker CP and is now a LISW. Ms. Reid has always been interested in the area of psychology and counseling. She enjoys the arts. She also has an undergraduate cognate study in pottery and fine art from the University of South Carolina. Rebecca Wilkes is our Certified Women’s Health Nurse Practitioner. She sees females from ages 12 and up for both obstetrics and gynecological care. She started her career as an RN in Labor and Delivery at Vanderbilt University Medical Center. In 1993 she graduated with her Master’s in Nursing from Vanderbilt University. For the last 20 years she has been working as a Women’s Health Nurse Practitioner. She joined our Fairfax practice in January 2016. Dr. Singleton obtained undergraduate degrees from The Citadel and The Medical University of South Carolina in Charleston, S.C. He received his medical degree from The Ohio College of Podiatric Medicine in Cleveland, OH. His residency was completed at the Veterans Administration Medical Center in Huntington, West Virginia. Dr. Singleton is dual board certified by the American Board of Multiple Specialties in Podiatry (ABMSP) in Primary Care and Prevention and Treatment of Diabetic Foot Wounds. He has a special interest in pharmacology and neuropathy. His personal goals as a podiatrist are to decrease pain, to keep patients ambulatory as long as possible, and to decrease amputations in the diabetic population. ​Baxter F. McLendon, M.D., F.A.C.S. Dr. McLendon attended Medical College of Georgia and also University of Oxford in England. He was in private practice at the Beaufort Eye Clinic from 1991-2007. Dr. McLendon also volunteers with the Belize Council for the Visually Impaired in Belize, Central America where he provides surgery and supervises optometrists in outlying eye clinics. He also services as an instructor and surgeon at the Hospital University Justinien, in Haiti. We were happy to welcome him to our practice in May 2013. Dr. McLendon currently resides in Brunson, S.C. with his wife. Ms. Miller is a Certified Family Nurse Practitioner and worked for Low Country Health Care System, Inc. from 1996 to 2010. Ms. Miller rejoined our organization in September 2012. She began her career working at Baptist Medical Center as a nurse on an orthopedic floor, challenged LPN boards and passed. In 1995, she graduated from the University of South Carolina with a Masters of Nursing. Walter Kirby received his Master of Physician Assistant from the Medical University of South Carolina in 2014. He is licensed in the state of South Carolina and certified with the American Academy of Physician Assistant. Prior to becoming a Physician Assistant he served in the U.S. Air Force as a combat medic for 28 years with two tours in Iraq. He enjoys working with children of all ages. He became employed with Low Country Health Care System in November, 2014. PA Kirby currently works in the Fairfax office and fills in at Barnwell Pediatrics. He currently resides in Olar, SC. Mr. Mynatt is a Family Nurse Practitioner practicing in the Low Country of South Carolina since 2001. Prior to earning his Master's Degree in nursing from the Medical University of South Carolina, he was a registered nurse with experience in medical/surgical, pediatric, intensive care, and emergency nursing. Mr. Mynatt is also a United States Navy veteran. He has been with Low Country Health Care System, Inc. since February 2017. Dr. Koukos has been practicing at our Barnwell site since September 2005. Dr. Koukos is Board Certified in Family Practice. He received a B.S. Biology degree from Saint Joseph's College in Philadelphia, PA in 1970. He received his D.O. degree from the Philadelphia College of Osteopathic Medicine in 1974. Dr. Koukos completed a rotating internship and two years of General Surgical training at John F. Kennedy Memorial Hospital in Stratford, New Jersey. He is Past President of the South Carolina Osteopathic Medical Society. Dr. Bridges has been practicing at Barnwell Family Medicine since August 2015. She emigrated from the Philippines and grew up in Jacksonville, Florida since 1992. She completed her undergraduate studies in University of North Florida and attended American University of the Caribbean School of Medicine in St. Maarten, N.A. She received clinical training at Nassau University Medical Center in Long Island, New York and completed residency at Lynchburg Family Medicine Residency in Virginia. Dr. Bridges is Board Certified in Family Medicine and licensed in the state of South Carolina. She resides in Barnwell, South Carolina with her husband and son. Dr. Milot completed her residency in Internal Medicine in Chicago. She has previous urgent care experience as well. She is certified with the American Board of Internal Medicine. In 1980 Mr. Young completed his graduate’s degree in Master of Social Work at USC. In 1980-2008 he worked at Aiken Barnwell Mental Health Center. In 2010-2014 he provided Behavioral Health Services for a Primary Health Care System. 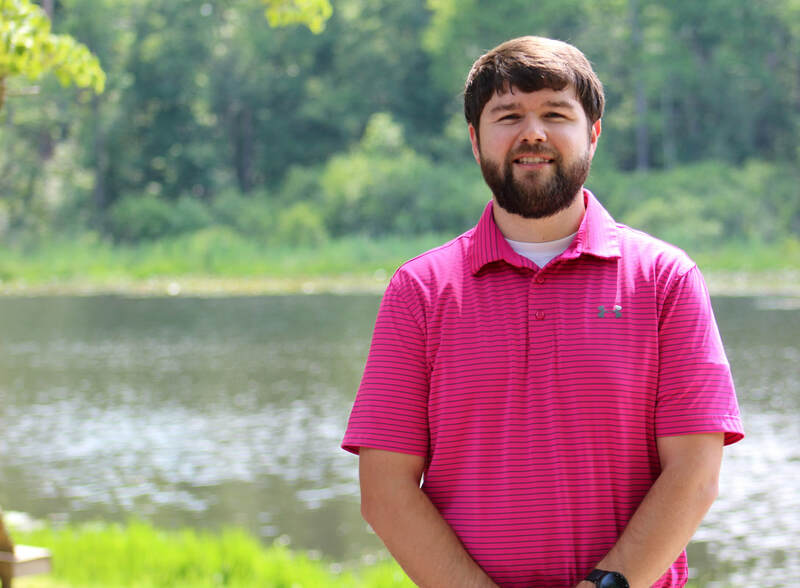 Mr. Young has been practicing at Barnwell Family Medicine since November 2014. Dr. Rahn is originally from Ehrhardt, SC. She attended Clemson University for her undergraduate studies and earned her B.S. degree in Biological Sciences in May 2010. She then went on to attend Vanderbilt University School of Medicine in Nashville, TN, and received her M.D. in May 2014. In June, she completed her residency training in family medicine at Wake Forest University Baptist Medical Center in Winston-Salem, NC, before moving back to the lowcountry in July 2017 to join the practice at Barnwell Family Medicine. Dr. Rahn is board certified in Family Medicine and licensed in the state of South Carolina. She and her fiance', Logan, are happy to call Barnwell their new hometown. Naomi Richardson stated working for Low Country Health Care System in May 2017. She completed her undergraduate degrees at University of Georgia and Georgia Baptist Hospital. She began her career working in Labor and Delivery. Ms. Richardson completed her MSN in Midwifery at Emory University in 1995. She specializes in both obstetric and gynecological care with a special interest in contraception. Christy Terry completed her undergraduate degree in Chemistry at Columbia College, Columbia, SC. She graduated from MUSC Physician Assistant Program in 2006. She worked for Low Country Health Care System’s Fairfax office from 2006-2010. She returned to work for Low Country Health Care System at the Barnwell Family Medicine’s office in June 2016. In 2010 Mr. Wallace graduated from Medical University of South Carolina. In November 2010 – February 2014 he worked as a Staff Physician Assistant at Tyndall AFB Family Health Clinic. In February 2014 – January 2018 he worked as a Staff Physician Assistant at JB Charleston Family Health Clinic. In January 2018 he started practicing at Barnwell Family Medicine. ​Abe H. Moskow, M.D., F.A.A.P. Dr. Moskow is board certified in Pediatrics and Fellow of the American Academy of Pediatrics, specializing in children's healthcare from birth through college graduation. Dr. Moskow, was born in Georgetown, SC, and has been a native South Carolinian his entire life. A graduate of Erskine College he attended medical school at MUSC in Charleston with pediatrics training at the University of Kentucky and at MUSC. In addition, he recently completed 2 years of subspecialty training in Developmental and Behavioral Pediatrics at MUSC and is a member of the Society of Developmental Pediatrics. In addition to working at Low Country Health Care System, Inc., Dr. Moskow works at Barnwell Pediatrics. He has three children and 2 grandchildren and lives in Barnwell, SC, with his wife, Susan, and son Robert. Bryan Allan Burnett, M.D., is a Board Certified Pediatrician who joined Barnwell Pediatrics in July of 1999. Dr. Burnett, a graduate of Erskine College, attended USC where he took graduate studies prior to medical school. He received his M.D. degree from St. Georges University School of Medicine and completed his pediatrics training at East Carolina University in Greenville, N.C. in 1999. Dr. Burnett has special interest in Pediatric Emergency Medicine, Pediatric Neurology and Gastroenterology. Saranne Schauer O’Neal, CFNP, received her Bachelor of Nursing degree at the University of Wisconsin, Eau-Claire in 1983. She worked for 6 years in the NICU at Greenville Memorial Hospital. She received her Family Nurse Practitioner degree from MAHEC in Asheville, NC in 1986. She worked at Clemson University’s Wellness Center for 5 years at which time she earned her degree of Master’s in Science in Nursing. In addition, she worked at the Greenville County Health Department and at Greenville Memorial Hospital. Saranne joined Barnwell Pediatrics in November 1992 and is a member of Sigma Theta Tau honor society for nurses. She is an active member of Barnwell United Methodist Church. Saranne sees patients from birth through college graduation and has special interest in adolescent gynecology. Jory Croft was born and raised in Jacksonville, Florida. She is a graduate of the University of Florida with a Bachelor of Science in Biology and minor in Dance. She attended the Medical University of South Carolina where she obtained a Master’s of Science in Physician Assistant Studies in August 2012. She began practicing at Low Country Health Care System, Inc. in March 2013. ​Christopher Shane Carroll, NP-C is a native to Barnwell. He obtained a Associates of Arts and Associate if Science from University of South Carolina Salkehatchie, Bachelor of Science in Nurse from the University of South Carolina, and a Masters of Science in Nursing from South University. Shane is certified as a Family Nurse Practitioner through the AANP and licensed in South Carolina. He has been practicing at Barnwell Pediatrics since August 2016. Shane currently resides in Barnwell with his wife and daughter. In 1994, Dr. Whitley received his Medical Doctorate from Medical College of Georgia. In 1995 he completed my Internship at the University of Tennessee, TC Thompson Children’s Hospital at Erianger Chattanooga, TN. In 1997 he completed my Residency at Greenville Hospital System. In July 2004 – June 2018 he worked as a Pediatrician at Carolina Health Center. In June 2018 he started practicing at Barnwell Pediatrics. Wren Sandifer has been practicing at Low Country Health Care System, in Blackville at Family Medical Center of Blackville, since January 2016. A native of Blackville, Ms. Sandifer graduated from Blackville-Hilda High school and went on to graduate with an Associate of Science in Nursing from USC-Aiken in December 1983. She began her nursing career at Barnwell County Hospital as a Registered Nurse in 1984. She received her Bachelor’s and Master’s in Nursing from Regis University, and her post-Master’s Certificate as a Family Nurse Practitioner from Graceland University. She is credentialed by the American Nurses Credentialing Center and holds licensure in South Carolina and Georgia. Ms. McCormack has been practicing at Low Country Health Care System, Inc. since December 21, 2009. Ms. McCormack completed a Bachelor of Arts degree in Professional Writing at the Canberra College of Advanced Education in Canberra, Australia. She also completed a Masters degree in Biomedical Sciences as well as a Masters degree in Physician Assistant studies at MUSC in Charleston, SC. Ms. McCormack is originally from Australia. She was also a Biology instructor at Trident Technical College in Charleston, SC. Ms. Spires worked as a Surgical Trauma Nurse from July 2011- May 2014. In May 2014 – July 2016 she worked as a RN. In May 2016 she received her Masters of Science in Nursing; Family Nurse Practitioner. In July 2016 – May 2017 she worked as a Nurse Practitioner at Parkridge Urgent Care. In June 2017 – July 2018 she worked as a Nurse Practitioner at Doctors Care. In July 2018 she started practicing at Family Medical Center of Blackville. Ms. Glover has been practicing at Barnwell Family Medicine since October 18, 1999. She is now a provider at Williston Family Medicine. She started in our Williston office in September 2018. Ms. Glover completed a Bachelor of Science in the Physician Assistant program at MUSC in Charleston, SC. Dr. Schafer received his MD Degree from Saba University School of Medicine. In July 2005 – July 2006 he was the Medical Director of Occupational Medicine in Columbia, SC. In July 2006 – November 2007 he was the Medical Director of Occupational Medicine in Biloxi, MS. In February 2008 – October 2008 he was the Correctional Physician at CCA in Tutwiler, MS. In November 2008 – April 2011 he was Staff Physician and Acting Medical Director of Mississippi State Penitentiary in Parchman, MS. In August 2011 – July 2016 he was the Medical Director of CCRC: Prison Hospital in Columbia, SC. In March 2018 – October 2018 he was a Locums Provider at Holly Hill FPC and Williston FPC. In October 2018 he started practicing as a Physician at Williston Family Medicine in Williston, SC. Dr. Padgett received his MD Degree from Medical University of South Carolina, Charleston, South Carolina. In July 1983 – August 2016 he was sole practitioner for R. Dale Padgett, MD. In August 2016 – May 2018 he worked as a Physician at Colonial Family Practice dba Padgett Family Practice. In May 2018 he started practicing as a Physician at LCHCS dba Padgett Family Practice. In 1979 Dr. Yates graduated as a MD from Medical University of South Carolina. In January 1979 – December 2008 he was Physician/Owner of Lakewood Medical Associates, Columbia SC. In December 2008 – February 2013 he worked as a Physician/Medical Director as Correct Care Solutions. In June 2013 – December 2015 he worked as a Physician at Doctors Care. In January 2016 he worked as a Physician at Med Care Urgent Care Center. In May 2018 he started practicing as a Physician at LCHCS dba Padgett Family Practice. In May 2000 Ms. Reed received her MSN from Medical University of South Carolina. In August 2000 – August 2003 she worked as a FNP-C at Dillon Internal Medicine. In August 2016 – May 2018 she worked as a FNP-C at Colonial Family Practice dba Padgett Family Practice. In May 2018 she started practicing at LCHCS dba Padgett Family Practice. In December 2016 Mr. Hovey received his Masters of Science in Medicine – Physician Assistant Studies. In June 2017 – June 2017 he worked as a PA at Carolina Heart and Leg. In September 2017 – May 2018 he worked as a PA at Colonial Health Partners dba Padgett Family Practice. In May 2018 he started practicing at LCHCS dba Padgett Family Practice.